Finnabair Ephemera, Melange from Prima. 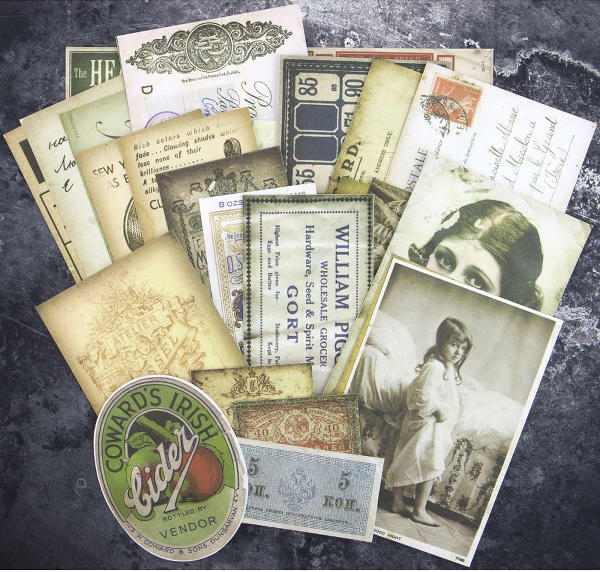 Add old world style and charm to your Mixed Media projects with Finn's Ephemera packs! 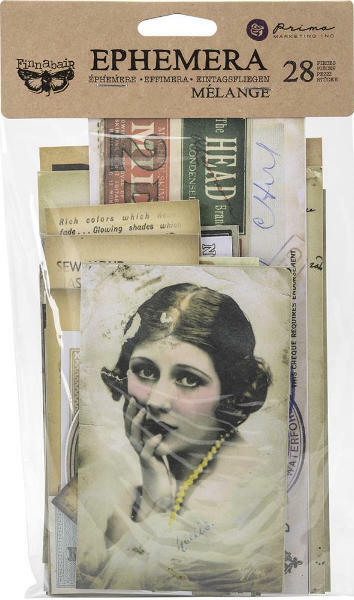 The packs include vintage style postcards, labels and old photographs from a different era. Ideal addition to paper crafts, mixed media and more!